As a parent you obviously want to ensure that your baby arrives into a safe and nurturing environment. 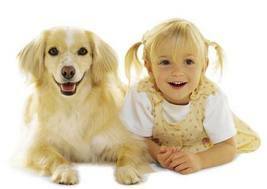 As a pet owner you know first hand the wonderful warmth and affection that pets bring into our life and wish for your child to experience it too. Reconciling your love for your pets with the need for your baby’s safety need not be an impossible juggle – all it takes is preparation and planning. We attend prenatal classes, purchase the cot and baby furniture, pack the hospital bag. Preparing your pet for that upcoming arrival should be as much a part of every new parent’s to-do list as fitting the baby seat into the car. At no time and under no circumstances can babies and pets (I am referring to both dogs and cats) can be left alone and unsupervised together. Pets are animals, not machines. Their thought and behaviour is unpredictable. 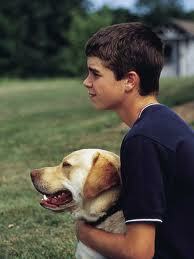 It matters not if the dog is the gentlest creature who has never hurt a fly. It is irrelevant what breed the dog is or how well trained. Dogs and cats respond to sensory stimulai and the noise and movement of a newborn child mimics the behaviour of a small animal and can also startle or frighten the pet resulting in aggression. This is not to say that pets can not coexist with babies. Research tells us that there is a wealth of physiological and emotional benefits that a pet owner derives from owning a dog or cat, as well as a profound insight of relating to a sentient, feeling being different from ourselves. Our children too can benefit from this life-changing experience, let me show you how. How early do you start preparing you pet for the arrival of the baby? The short answer is – as soon as the pet comes home from the shop/breeder/shelter. No dog is ever to young to start learning basic obedience and ’good doggy manners’ such as walking without pulling the lead, not jumping on people’s laps and having his food/toys handled without showing aggression. The humble sit/stay command – so basic an element of any obedience class, when learned well and practiced frequently can be a tremendous tool in managing a dog in a stressful situation such as the arrival of a new baby. It acts as a circuit breaker in a moment of stress, a hierarchy-asserting device for an unruly dog and a foundation upon which other commands and instructions can be built effectively. From the earliest days start teaching your new puppy to accept rough handling. Get him used to you taking away a bone or food bowl while he is eating. During play touch him firmly and assertively around paws, tail and face. Praise him when he responds without aggression. Remember – one day in the future your toddler will do the same and worse. There is nothing worse then lugging your shopping, a pram and an unruly dog eager to run ahead and pulling the flustered parent along with them. Take my advice – get your dog’s walking habits worked on way before the baby is due. As well as obedience, there are excellent walking-aide collars and harnesses on the market which can make walking your dog a breeze. And no, they are not an admission of failure on the part of the owner. They don’t hurt the dog and work much better then the old choker-chain. It goes without saying that a well behaved, obedient, well socialised dog – a true ‘good canine citizen’ is a joy to own and a pleasure to work with. At a time of new baby’s arrival these basic building blocks of responsible pet ownership become paramount. So what are you waiting for? Organise obedience training for your dog and don’t forget to allocate refresher-training time with your dog every day. Well, after you finish reading the rest of this article that is. Early in the pregnancy, sometimes even before the woman herself is aware of the change, many women report a change in the way their pet relates to them. Some animals become more cuddly, some sniff and nuzzle the pregnant belly and some can become more dominant, fretting and possessive. 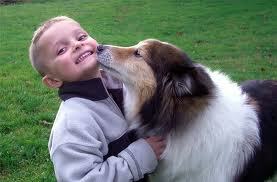 With their senses much finer then our, pets respond to smells and sensations bodily changes we can not perceive. They may also be responding to sudden changes in the family home, new routines and the general anticipation (should I say anxiety?) of the owners. The best advise I can give here is to try to relax and go with the flow. The more relaxed you are, the more relaxed your pets will be. Organise a quiet, out of the way chill-out spot for your pet where they can relax safely when the whole house feels upside down. Don’t forget to make time for them no matter how preoccupied (sick, stressed, nauseous) you may feel. Let them nuzzle and explore your pregnant belly if they wish but don’t insist on interaction if they choose to go off and rest in a quite place instead. As the new items (cot, change table, baby bath, car seat) make their way into your home give your pets the opportunity to explore and become familiar with these strange objects. And of course, lots of praise and food rewards is a must. A few months before the baby is due obtain a newborn-sized doll, dress it up in baby clothes and carry it around regularly in the way you would a baby. Let your pet come over and explore/sniff the ‘baby’ in your arms once. After that the ‘baby’ is out of bounds. Your goal is to teach your pet a lesson – when the ‘baby’ is in the arms/cot/car seat – no misbehaviour (pulling, begging, jumping up on you) is allowed. Arrest your cat’s attempts to jump into your lap or your dog’s efforts to put his paws on your chest with a sharp ‘No’ and a turn away from the pet. Reinforce this message with a short (2 minutes) period of enforced separation (‘naughty corner’). Send a clear message that this kind of behaviour will not be tolerated while the baby is in your arms. Balance the stern put-downs with plenty of treats and praise when the pet is doing the right thing – ie. keeping a safe distance from the baby. Many animals find the crying of a baby stressful and frightening. Obtain an audio recording of a newborn crying and play it loudly in your house to familiarise your pet with this new noise. Be relaxed while the sound is playing and give lots of praise and rewards. Remember – the goal here is to demonstrate that this new noise is not frightening at all. If the baby room is to be off limits for the pet, ensure that the door is lockable and sturdy. A child barrier will not be enough to keep away a cat or an agile dog. Get into the habit of keeping the baby room door closed before the baby comes home so there will be no mistakes. As soon as the baby is born take a blanket or a piece of clothing with the baby’s smell on it home to your pet. Give it to your pet to sniff and explore. Leave the blanket on his bed to get used to. On the day baby comes home make sure you have help on hand to make ‘introduction’ easier. There is nothing worse then balancing a new baby in one hand and fighting of an inquisitive dog with the other hand (knee, elbow). These are common parasites of the gastro-intestinal tract of dogs. Some worms can infect humans (of all ages) either through ingestion of minute amount of dogs’ faecal material (round worm) or through bites of infected fleas (tapeworm) or by burrowing through the skin (whip worm). As well as causing general unwellness, worms can cause severe and even life-threatening disease. Hydatid disease caused by tapeworm can result in large cysts forming inside body organs. If ruptured, these cysts can cause life threatening complications. Toxoplasmosis is a disease caused by a parasite Toxoplasma Gondii. This parasite is common in cats. Estimates vary according to geographic area but a large proportion of cat carries the parasite harmlessly inside them. The parasite can be spread by contact with cat faeces, as well as in uncooked meat, soil and unwashed vegetables. Humans are infected by the faecal-oral route. For a healthy adult, Toxoplasmosis infection is usually harmless and immunity is quickly acquitted making subsequent infection unlikely. The greatest risk is when a woman is infected with Toxoplasmosis during the first trimester of her pregnancy. The organism can spread to unborn baby causing severe birth defects such as brain damage. So should you get rid of your cat before planning for a baby? Not necessarily. You can minimise the risk to your unborn baby by following a few simple steps. First – go to your GP and get a blood test for Toxoplasmosis antibodies. If the test is positive, you already have protective immunity and your risk is minimal. If the test is negative, you need to protect yourself against infection. The key is to prevent direct contact (leading to ingestion) of cat faeces or any material (sand, unwashed plants) which may have traces of cat faeces on them.Wash your hands after touching your cat, cook the meat right through before eating it, wash vegetables thoroughly, wear gloves when working in the garden or taking out cat litter, better still – get someone else (your partner?) to clean out cat litter for you. One more advice – don’t become focused on the negatives. As important as it is to be cautious and keep your baby safe, it is also important not to become fixated on the dangers and miss out on this special time in your life. Pet-related incidents are thankfully rare and the benefits of pet ownership are plentyfull. So relax and enjoy the ride. Pingback: Dog Attack An Unfortunate Accident? « Pets. Safety. Education. Great blog, working in rescue for many years I want to cry when people come with a lovely dog or cat and ask can the rescue rehome it because a baby is on the way or a new baby has just arrived. Preparation is all it takes!